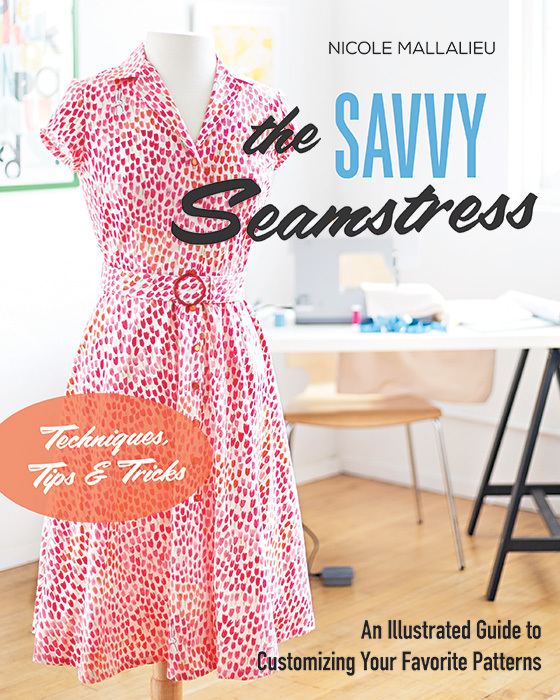 Note: I was given my copy of The Savvy Seamstress, and the giveaway copy, for free. But all the opinions expressed are my own. The Savvy Seamstress is a bit different from some sewing books out there. Although the author, Nikki Mallalieu, is a professional pattern designer (I've got one of her You Sew Girl patterns, the Draped T-Dress, in my stash, ready to sew, thanks to the lovely Blogless Anna! ), the book doesn't contain patterns, but rather instructions for how to adjust a well-fitting pattern to add or change details. Tricks for customizing your favorite pattern to meet your needs. In other words, it's a pattern hacker's delight! I really love this approach. I know I'm a bit of a pattern addict, always trying the latest and greatest, but I also appreciate the ability to change little details to make the most of a pattern, like I have with Tim's McCall's 6044 shirts. The instructions in the book are clearly written and easy to follow, and there are plenty of diagrams and photos to illustrate the steps. I was also delighted to see that this book is not just about minor pattern drafting. The Savvy Seamstress also contains valuable descriptions, clear diagrams and lovely photos demonstrating professional construction techniques for a clean finish. I know I will refer to the book when I want to "up my sewing game," as the ladies of the Love to Sew podcast say. I think The Savvy Seamstress is a fabulous resource for almost every sewist, perhaps with the minor exception of the very advanced or professionally trained. So which techniques from the book did I use? I started with a basic pattern, the Sew DIY Lou Box Top, the straight hem version with a scoop neck. Using the techniques from The Savvy Seamstress, I drafted a 2" wide neckline facing that merges into a button extension on the back of the top. These are in lieu of the bias tape neckline facing and center back seam at are standard to the pattern. I'm delighted with how the facing and button back turned out! The instructions were easy to follow and the techniques make for a very tidy finish. The general shape of the shirt, I have some qualms about, but that's on me, not the book! I wasn't expecting the Lou Box Top to be so cropped. It's far wider than it is long. That may be partially due to a size choice issue. I was between sizes and opted for the larger, and it's just massive, honestly. The proportions seem off to me. Details on my fabric: this is some Indonesian batik that I bought back when I lived in Jakarta in 2013... does this deep stash usage count for #makeyourstash? Anyway, I believe the fabric is from a shop in Thamrin City Mall. I'm not 100% sure what the fabric content is... I have a vague recollection of the shopkeeper telling me it was "katun dobi" (dobby cotton), but honestly, it doesn't really feel like cotton. It also doesn't feel like poly, though; no smell when ironing it on high heat, presses easily. It's got a strange texture, with some sections more loosely woven so that they're almost sheer. Who knows?! I paired it with some mother of pearl buttons, also from my stash. 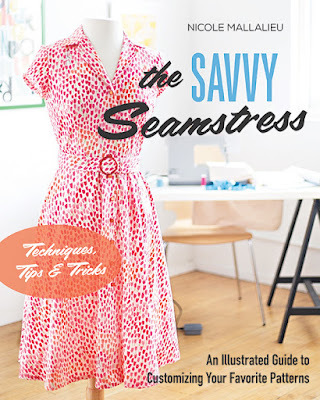 Giveaway: I've got a copy of The Savvy Seamstress available to give away to one lucky reader; just fill out the form by May 2! Adding pockets - always! Love the fabric too. Cheers! This looks like my kind of book. And I do like your shirt even if it’s large. 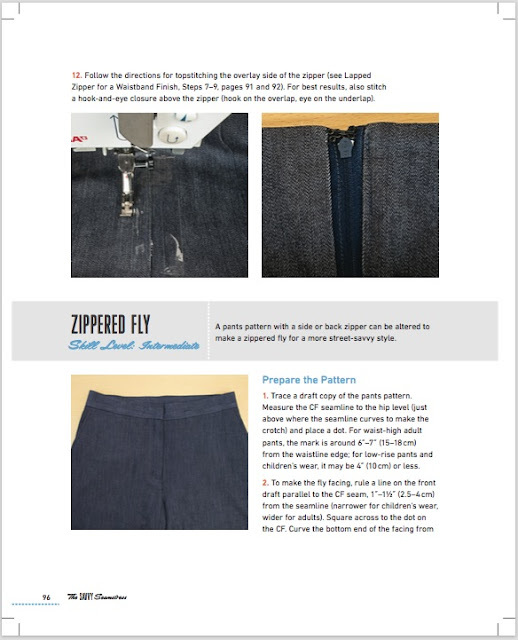 I would love to be able to produce a more professional looking garment, especially zipper applications and hems. I think this book would be a great resource! I want to be able to make a pattern my own & have the knowledge to make the changes I want to make & not be worried I’ll mess it all up. Would love to play around with zippers. I love a good pattern hack. I'd love to have more knowledge about how to change out zipper types (particularly invisible to lapped). I'll avoid patterns with certain types of zipper installations so I'd like to have more knowledge on that, and I'm all about clean finish techniques! I need help in a lot of areas and definitely more practice. I like the fabric in that top! I always, always want pockets in my dresses! Love the idea of this resource, for so much inspiration on changes that can be made so I can decide what I want to try next, not just a suggestion . Thanks for the opportunity and good luck with whatever you try to salvage that lovely fabric! This seems very useful. I like to change necklines and sleeves sometimes but I have limited knowledge as to the best ways to make these and other changes. Thanks for the giveaway. Love that shirt and material! I just purchased that pattern and am working on figuring out how to do a pdf pattern. I think the facing makes the top look more substantial and prettier. This is a great idea for a sewing book. I'm interested in learning more about finishing waistbands. Mine always seem to be to thick. Thanks! I love this hack- button backs are a favorite design detail for me. I'd be interested in learning how to change zipper closures to button closures and vice versa. I’d like to be able to add pockets to all my garments! With all the fit changes I have to do, taking a TNT block and doing pattern tweaks like this is exactly what I need to focus on! I need to improve my after thought pockets. It's all in the details,ya know. What a great book! I like what you did to the Lou Box and want to copycat that one. Also, I want to work on adding pockets and changing zippers. This book sounds like it has great ideas without adding to my enormous pattern stash! I'm especially interested in learning about ways to incorporate different types of pockets into garments as well as performing a small bust adjustment into so my garments. Thanks! I am just learning the basics of hacking the simplest things and would love this book to help guide me through it. I get nervous about any pattern hacking, so a book that allows me more creativity (rule breaking ) the better. One alteration I would make to all clothes is to make a vneck as this is way more flattering to my figure. I'm always looking to add pockets to everything and I do love a good lapped zipper :) I'm not super creative in that way though, so I'd love to see what else the book suggests! I'm excited to see how I can alter necklines which aren't flattering on my ultra-short upper body. Changing the neckline shape would be fun. The lapped zipper, and changing from zippers to buttons or the other way around. My bug bear with many commercial skirt and pants patterns is shaped waistbands, or waist finishes with just a facing and no band. On my shape, at least, these always seem prone to stretching, even with "industrial strength" (!) interfacing. As a relatively new sewer, I am thrilled to have finally finessed and sewn a skirt pattern that I love, and am in the later stages of pants that promise so much. BUT, both have shaped waistbands, and I am dreading the likelihood that they, like their wearable toiles, will soon end up around my knees with stretch! I would *love* to tweak the patterns to substitute a conventional, straight, (boring? - but oh, so comfortable and reliable) waistband for the shaped versions. I like the facing/button band that you made, a very tidy finish! I would love to see what alteratipns are available besides the basic few I know. Sounds like fun: hacking a pattern to get just exactly what I want in a pattern! I would love to have this book. I don't like high necklines so I would love to learn how top change necklines on patterns. Sounds like a great book! Thanks for the review. Changing the collar sounds difficult. I'd be happy to have the instructions for that. Side zippers on a skirt instead of an elastic waist would be valuable knowledge. Thanks, Amy. I like Nicole’s work! I own the A line skirt pattern and would love a copy of the book! I love the facing and button-back you drafted -- would love to try my hand at altering necklines more professionally! I'd really like to learn how to make better adjustments to waistlines/bands. I need help with necklines snd zippers. I love your button back . As simple as it is, I'd love to get comfortable drafting all-in-one facings to substitute for binding. Better finishes to my garments! Sounds very interesting. This book would be an amazing resource. I'm always on the lookout for good instructions on how to install different types of zippers, and seeing as though I have a love/hate relationship with invisible zippers I would love to have the knowledge on how to swap them out for a lapped one instead! Changing the neckline, followed by adding pockets! Long time stalker, first time commenter. All the pockets, all the time. Also, a good lapped zipper is delish! I would love learn how to add buttons to a shirt, and also any type of pockets to anything! This book looks amazing! I’d love to “up my sewing game” with cleaner interior finishes and also be able to change sleeves and necklines more easily. Ooh and pockets! I can always use more knowledge on adjustments and improvement for my sewing, this book looks like it would be great! Changing necklines is something I have been wanting to do but have been afraid of cutting into a top I just don't like the neckline of. As a self-taught beginner, I would love to learn more tips and techniques for modifying patterns! 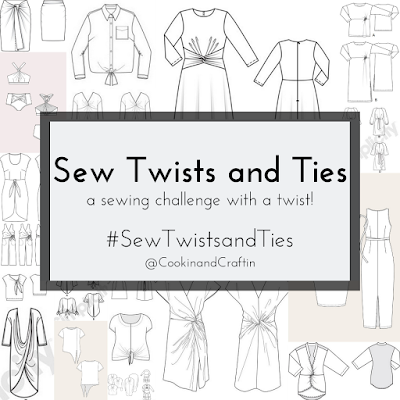 Changing necklines and sleeves!